Join Georgia for the next two months, creating these very cute Easter Eggs for your Easter decorating! They are made using your embroidery machine! Class fee: $30 or 1 CC. 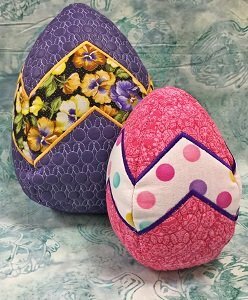 There will be a $15 design fee for the embroidery design to create these eggs. Click here for the 3D Easter Egg supply sheet.